Big and beautiful. Albéric Bichot’s tireless quest for quality. When I was novice wine student living in Burgundy, my viticulture professors (all local growers) insisted that serious wines could only come from small estates and never from the big, bad négociant firms. 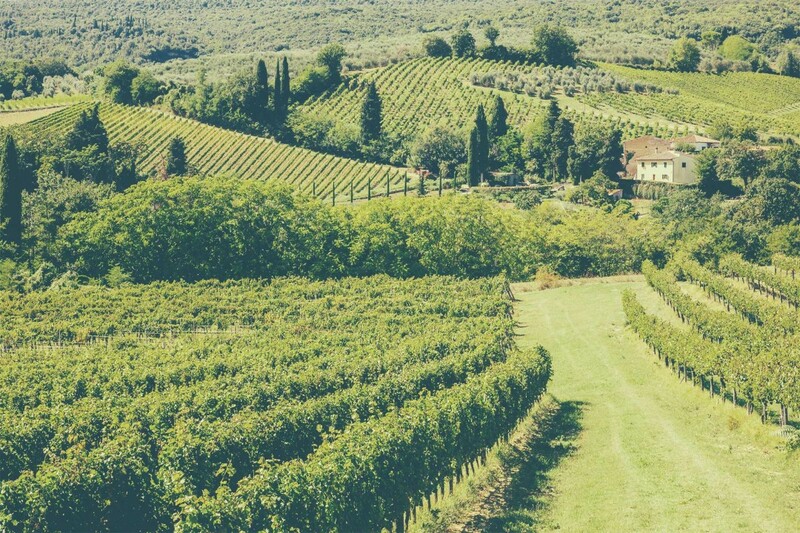 To my teachers, wineries that produced large quantities and largely worked with grapes bought from other growers could never attain the same heights of elegance, aromatic complexity or precision as the small farmer working his own plot of land. As time went on, I learnt that the lines were rather more blurry than I was led to believe. First of all, many large Burgundian négociants have significant vineyard holdings, and a growing number of small domaines are starting to buy in additional fruit to grow their sales. 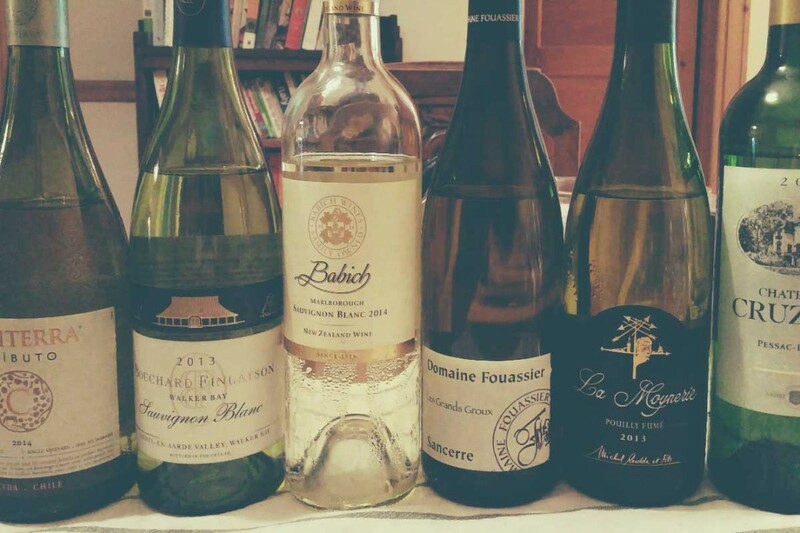 Secondly, quality-oriented négociants are so meticulous in their choice of grower partners and the winemaking techniques employed that exceptional wines are regularly being made by wineries with little or no vineyards. Lastly, many small growers make poor wines. Good things, it would seem, do not always come in small packages. This subject came to mind after a tasting I attended last week with the charming Albéric Bichot. The very definition of this hybrid of grower/ négociant, Maison Albert Bichot owns a whopping 100 hectares of vines. Their estates are spread out across the entire region, from Chablis, to Nuits-St-Georges, to Pommard and Mercurey. They also buy significant quantities from growers to meet the demands of their large clientèle world-wide. I asked Albéric what he thought about this rivalry between small growers and big négociant firms, and he responded with a wry smile and a typically Gallic shrug. His philosophy is simple: make the best wines possible, and let the quality speak for itself. His philosophy is simple: make the best wines possible, and let the quality speak for itself. Albéric took up the reins of the (then) 165 year-old family firm in 1996. Before settling down to the business of managing such a vast empire, it is said that Albéric was a great adventurer, travelling through the wilds of northern Canada and Patagonia. He dreamed of being an astronaut so the stories go. But after just 5 minutes of hearing him talk about his vines, it is obvious that he is where he is meant to be. Over the past 20 years, he has worked tirelessly to raise the image of Maison Bichot. 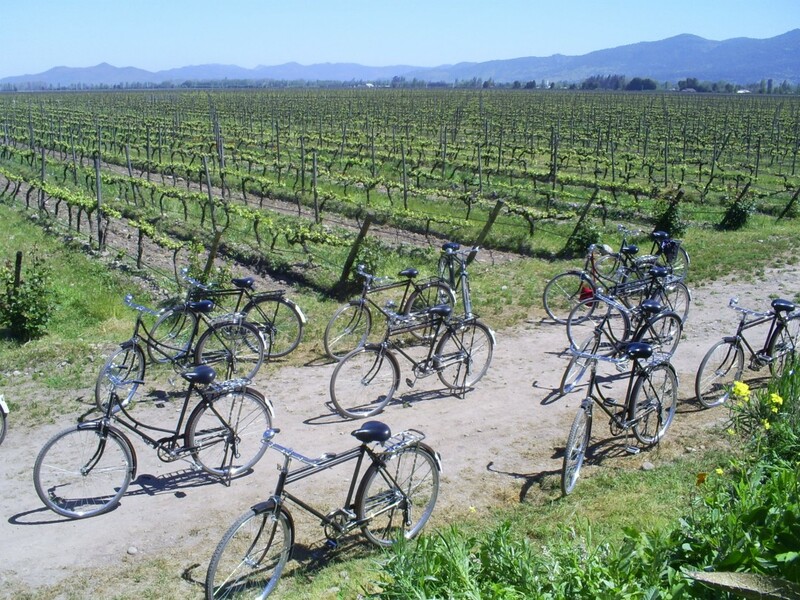 The vineyards are all sustainably or organically farmed, the yields have been sharply reduced and the majority of sourced fruit is now purchased as grapes rather than finished wine. 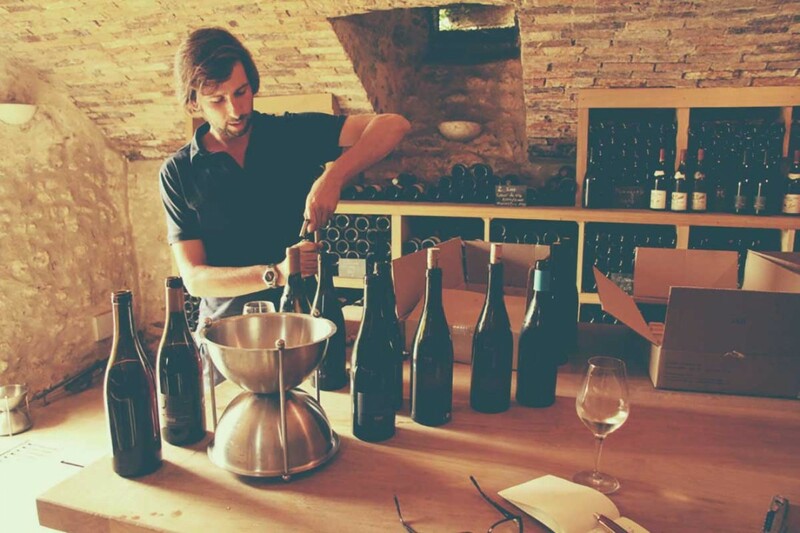 A spokesman for Burgundy in their successful bid to obtain UNESCO world heritage status for their 1247 climats (vineyard parcels), Albéric is passionate about crafting wines that express their terroir and vintage. Albéric kindly shared the family secret here, which is that the grapes are sourced from just outside the boundaries of top Côte d’Or villages and vinified with all the care given to the crus. An intriguing nose of spiced apricot with undertones of licorice and subtle minerality. Lifted acidity gives way to a medium bodied, smooth textured mid-palate with a soft, toasty oak finish. Great value. Bright lemony fruit. Lively and refreshing with nice depth of flavour through the mid-palate and a lifted, mineral finish. Fairly simple on the nose, but still very enjoyable for a week day wine. This 63 hectare estate covers 10% of the total surface areas of Grand Cru vineyards in Chablis. The 2010 “Les Clos” is redolent with sweet, baked apricots, honey, lemon and subtle floral and mineral notes. Searing acidity leads into a richly textured, juicy core followed by a lingering, toasted finish. As per the white, the red “Secret de Famille” cuvée is a serious step up from your average AOC Bourgogne. Seductive aromas of strawberry, cherry and violets are underscored by a pleasing earthiness. The tart acidity is balanced by a plush texture, smooth oak and firm, dusty tannins. Like the white, excellent for the price. Slightly closed on the nose, showing black and red berry fruit, rose petals, earthy notes and subtle spice upon aeration. Bracing acidity, showing power and concentration, with firm, ripe tannins and measured use of oak. A little austere at present. Good potential, needs time to unwind. The star of the tasting! This high quality 13-hectare estate counts 8-hectares of Grand and Premier Cru vineyards. Rustic and earthy on the nose, with mixed red berries, soft floral notes and lots of minerality. This wine really comes alive on the palate with vibrant acidity, bold fruit flavours, a silky texture and pronounced yet smooth tannins. Drinking well now, but will definitely improve with age. I buy a lot of wine. A LOT. At the more affordable end of the spectrum, the LCBO tends to beat the SAQ in pricing so I do some shopping there whenever possible. 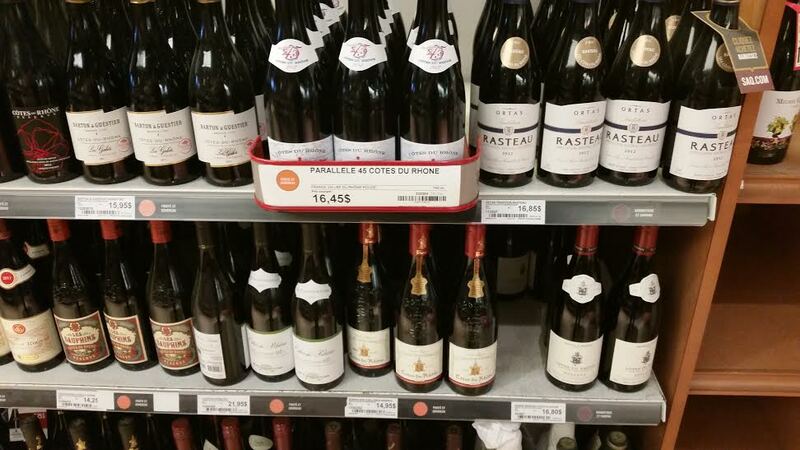 But as I live in Montréal, the majority of my wine is bought at the SAQ. Also, they have a far superior range of French wines (surprise, surprise). So I was very much looking forward to the launch of the SAQ’s new loyality card “Inspire”. Visions of huge cost savings danced in my head. And then, finally, the big day came! I could sign up for my card. I raced to the SAQ website where a big INSPIRE banner ad informed me that “it would be crazy to miss out”. They didn’t have to tell me twice. I am not crazy! So I clicked on the link to find out that I will get a…wait for it…1$ rebate every time I spend 200$. Wow. Here is the deal as I have understood it: for every 1$ spent, the SAQ awards you 5 points. Once you have accumulated 1000 points, you get a 1$ credit on your card. Granted, this is just the regular, every day deal and does not account for promotions whereby, for limited periods, you can get double points or more if you purchase certain, specified items. A glass half full, we-have-no-other-choice-but-to-shop-at-the-SAQ-so-just-need-to-take-what-we-can-get, type of person would surely tell me to stop complaining. Until now there wasn’t any sort of reward system for spending lots of dough at the liquor store. Comparatively, this is not bad. So, while I am a little disappointed, I will acquiesce for now and hope that the “Inspire” program does finally live up to its promise. And, to be fair, the cost savings aspect is only one part of the overall concept. Using your card at purchase will allow the SAQ to catalogue your buying patterns and offer you personalized wine suggestions. They also plan to offer contests, events, workshops and all sorts of other fun stuff. I suppose, if I were a gracious sort of person, I would say that this sounds alright. But my stubborn side still thinks that 200$ for a 1$ discount seems a little uninspiring.